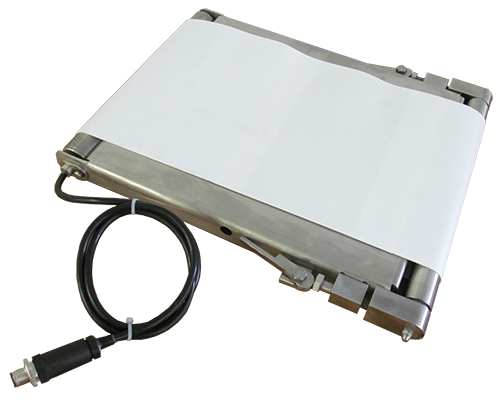 Thompson Scale introduces our newest small package checkweigher conveyor design, the Sonic 350MDR. This innovative and unique design incorporates a 1.2” dia. SS IP67 rated motorized drive roller into the conveyor. 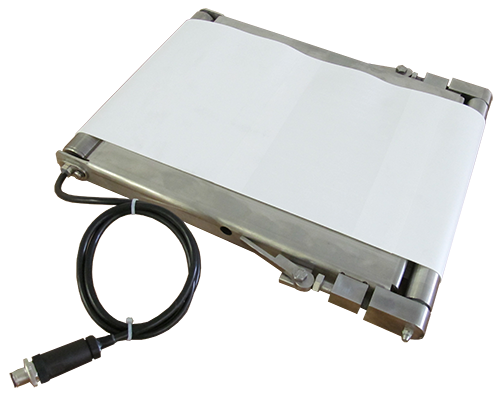 This eliminates heavy and expensive external drives and drive components, streamlines the conveyor design, and greatly improves the performance and durability of the checkweigher conveyor. The Sonic 350MDR offers conveyor sizes from 12” long x 4” wide belt, up to 18” long x 8” wide belt, with a variety of lengths and widths in between. Speeds are variable from 30 to 100 fpm, and production throughput up to 100 units per minute. Weight capacity for the Sonic 350MDR is up to 4 lbs. Consider the Sonic 350MDR Checkweigher as a complete new system, or talk with us about upgrading your existing Checkweigher to take advantage of our superior conveyor design and controls.